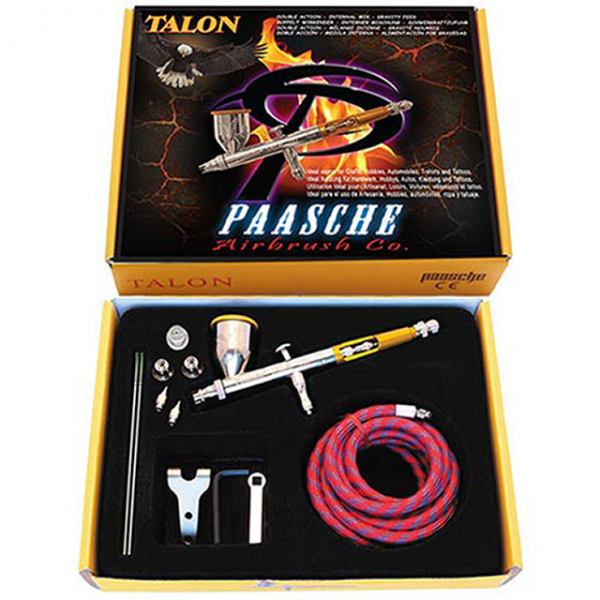 * The Talon is a double action gravity feed airbrush and our finest detail airbrush. 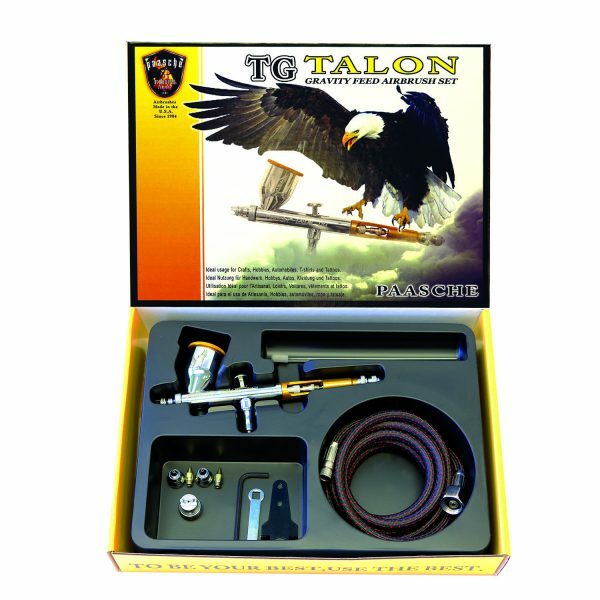 * This kit is fully loaded with all three spray head as well as the new fan aircap for patterns up to 3 inches. 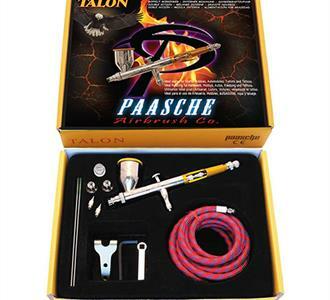 * Also are included is a 6 foot braided hose.